Business in the front, party in the back! This epic Mullet Wig - Black - Adult Costume Accessory is the perfect way to finish off your ‘80s rocker or country heartthrob cosplay ensemble. 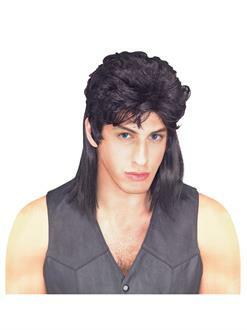 Pair with the matching Mullet Wig - Blonde - Adult Costume Accessory for a group costume theme with your best friend. Order adult costumes and accessories online today.